The year was 1945. The free world rejoices over the defeat of fascism. But the peace soon chilled, and in the Cold War that followed the United States entered a period of national paranoia and political repression. In response, film producer Barney Rosset and director Leo Hurwitz joined forces to create Strange Victory. This rarely seen, stylistically bold documentary equals the visual, poetic brilliance of Battleship Potemkin and I am Cuba while delivering an extraordinary cry from the heart to make a better place for our children. Skillfully combining documentary footage of World War II battles, postwar refugees, and the Nuremberg trials with powerful dramatic re-enactments, Hurwitz wove an extraordinary cinematic portrait of postwar American Fascism. 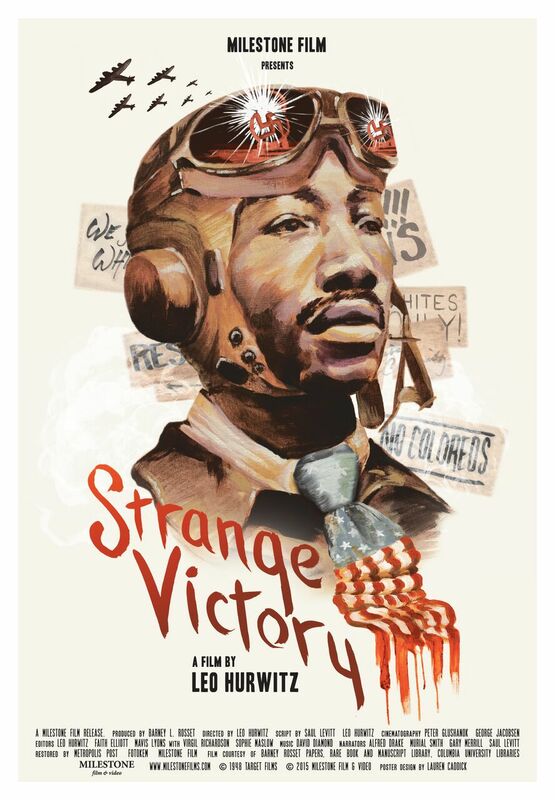 How could it be, the film asked, that servicemen returned home from defeating a racist and genocidal enemy found the United States plagued by racism, Jim Crow, anti-Semitism, anti-Catholicism, and xenophobia?StrangeVictory—a cry for equality and justice —was promptly branded “pro-communist” and a financial flop. Hurwitz was blacklisted from film and television for more than a decade and Virgil Richardson (a former Tuskegee Airman), who portrayed a black vet in the film, chose to emigrate to Mexico to escape from US racism.